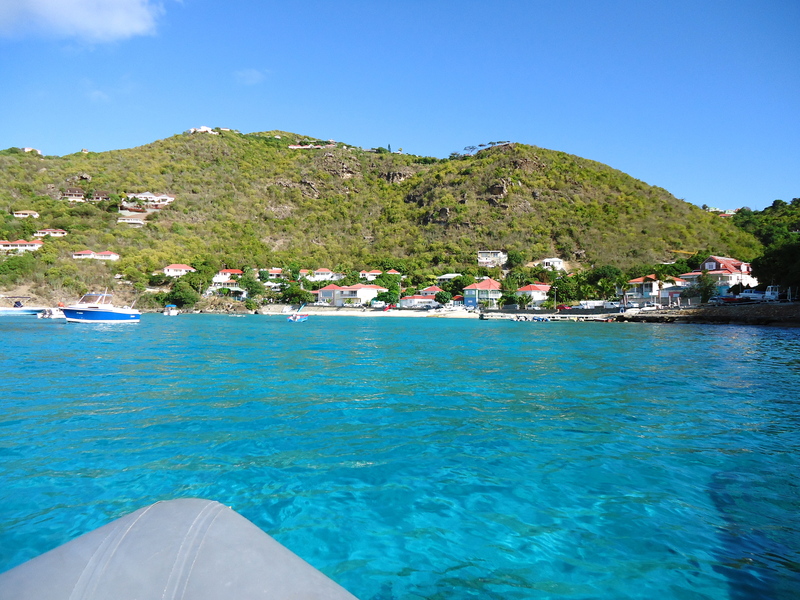 We arrived at St Bart’s on the 21st at 16:30 after a great sail. We had departed Baseterre at 07:20 but with light winds due to being in lee of the island we did not make much progress for the first couple of hours. Once we had cleared St Kitts with St Eustatius showing itself to our starboard side the wind picked up to a nice 20-25 knots. We needed to put two reefs in the main and flew only very little genoa. Troskala was happy and we were steaming through the waves at 6-7 knots. 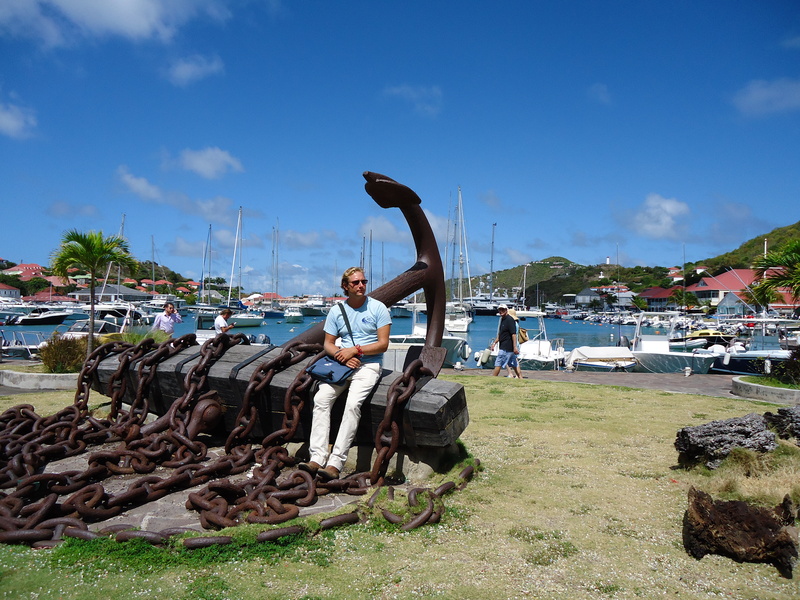 The approach to St Barts (Gustavia) is easy enough, there is a large channel and as long as you avoid the numerous rocks situated outside the harbour and the large amount of Super Yachts you will have no problem. 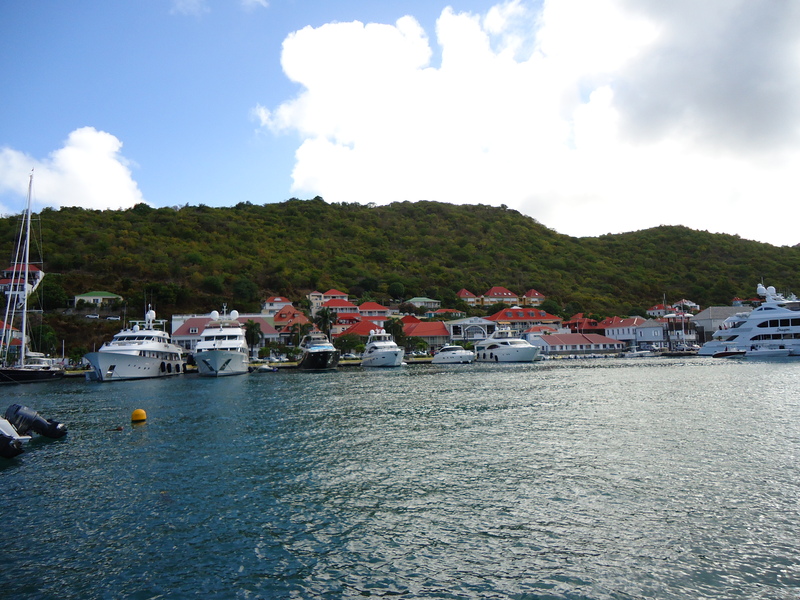 We found a great anchorage on the port side of the channel just before the commercial dock. 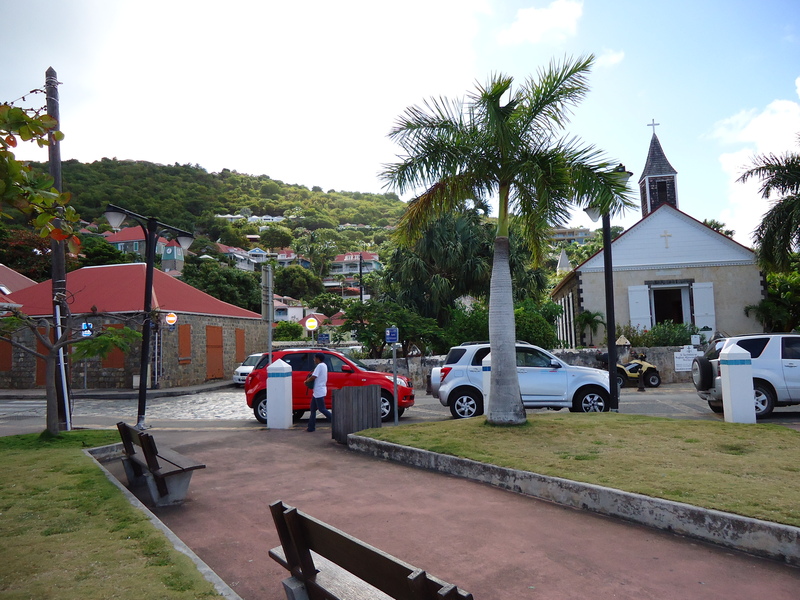 We settled in for an early night as we were all tired and planned to investigate the town of Gustavia in the morning. We awoke early the next day. Our primary job firstly was to clear customs, another load of paperwork and expense. 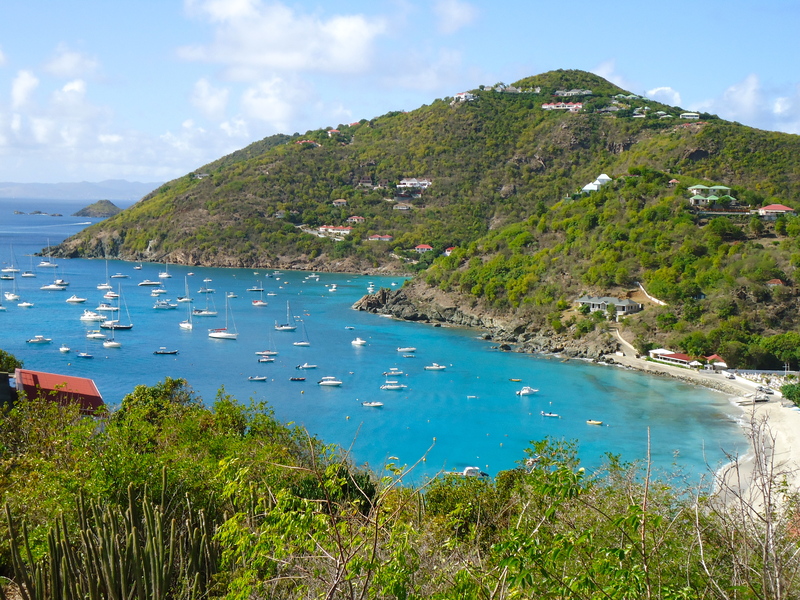 We took the dinghy into town, which was quite away from where we had anchored but the scenery makes it very pleasant. Seeing as we had lost our oars we had come up with the idea of using badminton rackets with plastic bags over them just incase the engine packed up, which it did not. 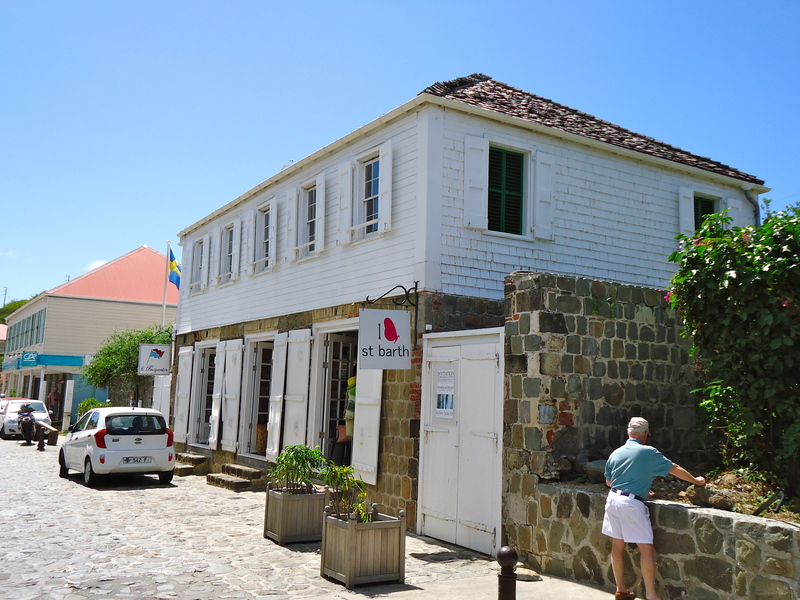 I love St Bart’s, I love the town, the food, the French, the architecture and the feel of the place. 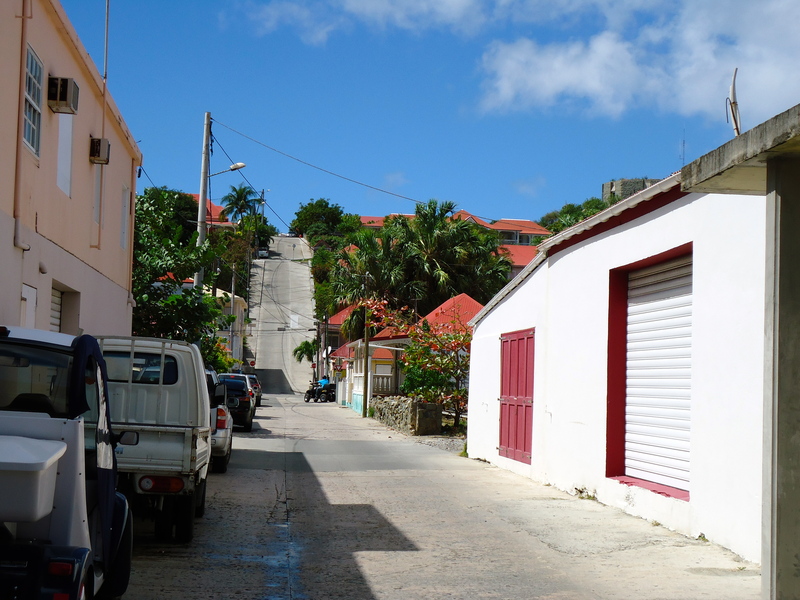 Gustavia is basically a mini France with a better climate. 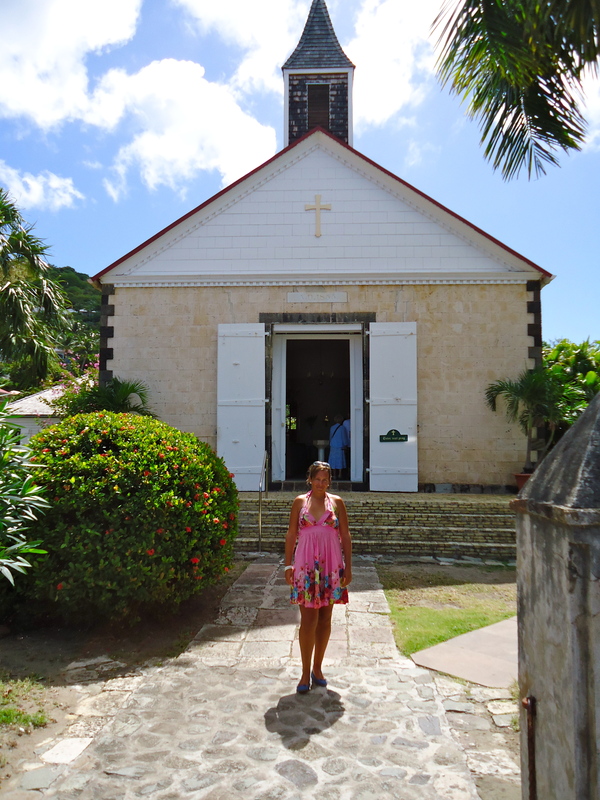 In 1784 the French gave St Barts to the Swedes and then the French reclaimed the island around 100 years later.. The result of this shows up in the architecture and feel of the place. 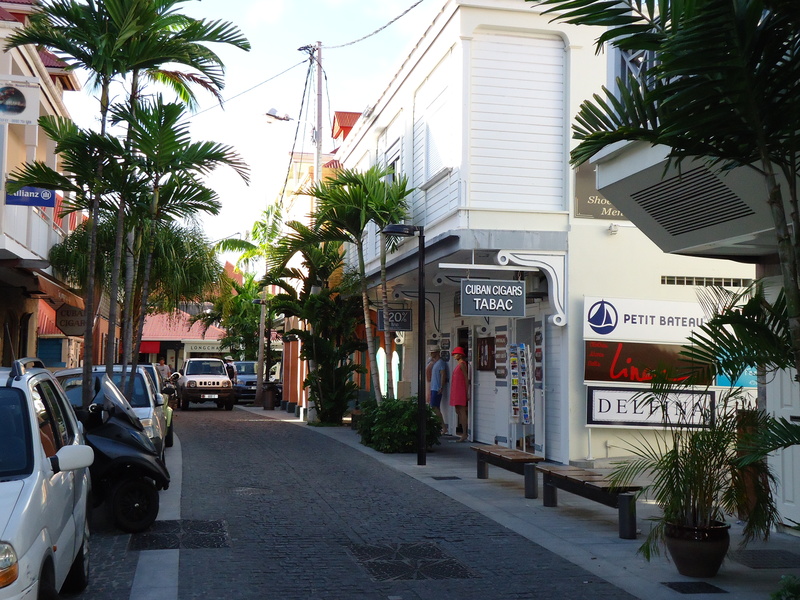 Gustavia is clean, chic, friendly and very French. 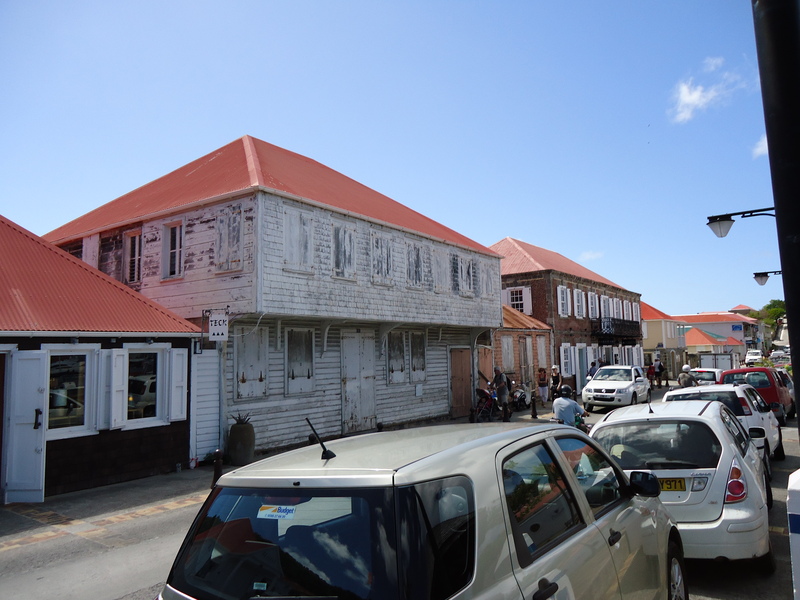 It was quite a change from Nevis and St Kitts but a pleasant one at that. 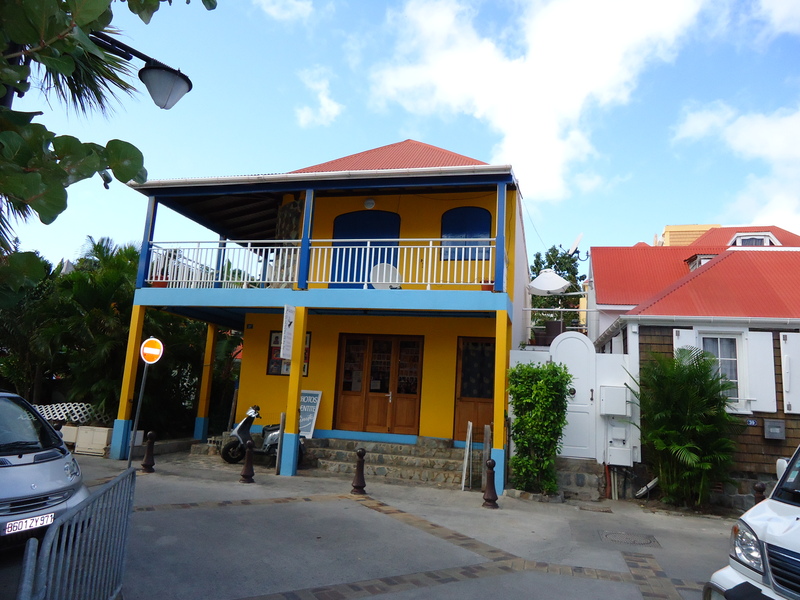 We walked over to customs and immigrations to check in and check out as our stay here is only a short one. We headed back to Troskala for a swim before coming back into town to go on a walk and investigate this beautiful place further. 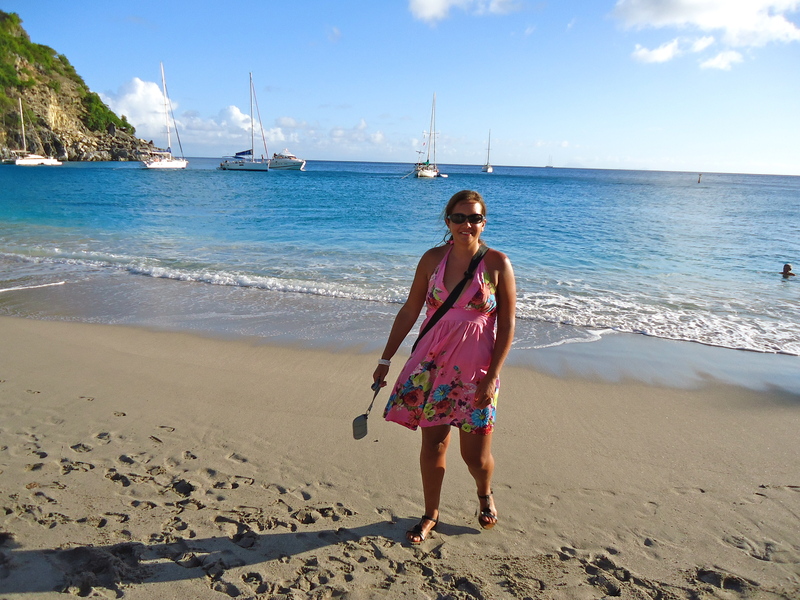 Whilst swimming in the clear waters of Gustavia I came across my first close encounter with the following beasts; a turtle, stingray and star fish; an unbelievable experience. On our way back to the dinghy I spotted a couple of oars left on the side of the road. Not one to leave litter over the streets I confiscated them to our dinghy. The loss of oars is no longer a problem and we are now sporting two rather battered and bent oars, but they do the job nicely and saved us some money. We went back into town and walked up to the lighthouse to absorb the wonderful views, then back down for an iced coffee. 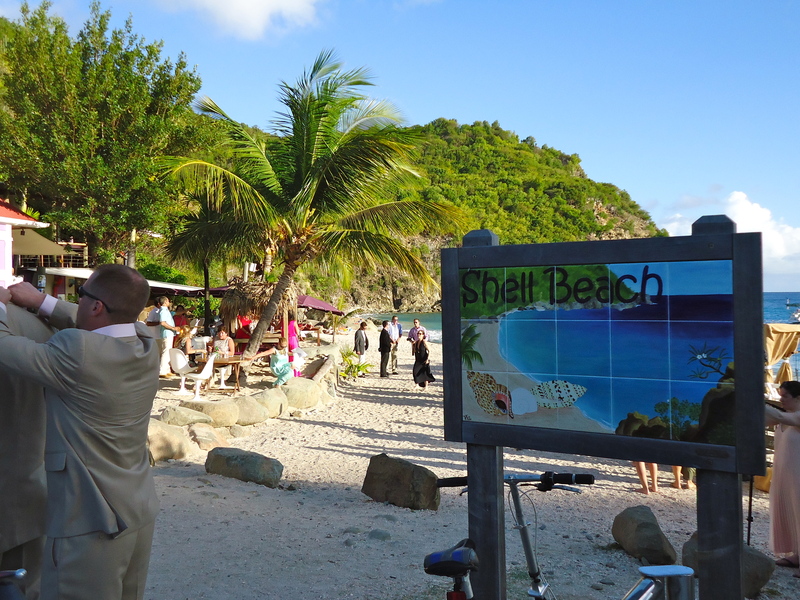 We then walked over to Shell Beach which is on the other side of the town, it was a spectacular spot. While we were there a wedding was taking place, the scene could not be more perfect, and yes, Carlotta and I came up with a great idea for the future; but enough said for the time being. 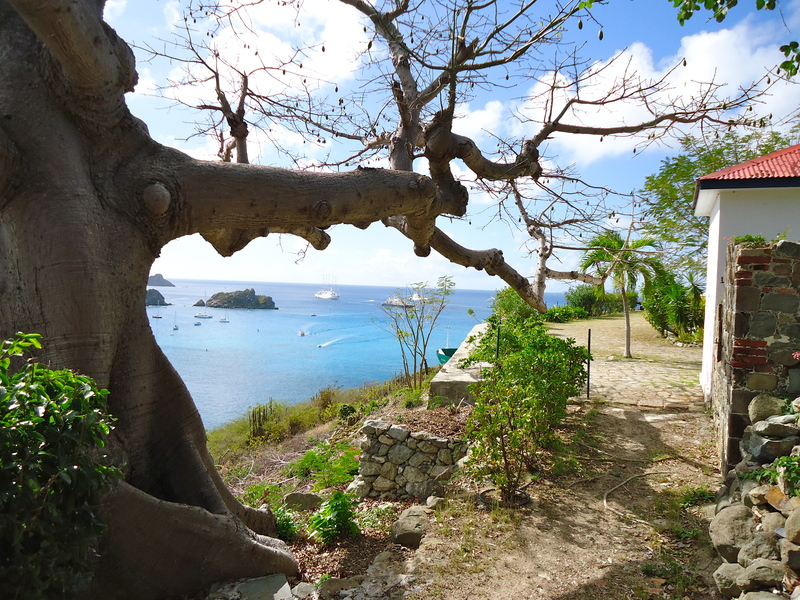 We will anchor off Shell Beach on our way back up in a few weeks it is a must see for all visiting this island.